Shoes and clothes that sell for $300 and less. The tax break does not apply to athletic or protective clothing and footwear, jewelry, handbags, luggage, umbrellas, wallets and watches. School supplies, clothing, accessories and shoes with a price of $100 or less are covered. Books, clothing, footwear and certain accessories with a sales price of $50 or less per item, and school supplies with a sales price of $10 or less per item. The exemption does not apply to purchases within an entertainment complex, a theme park an airport or a public lodging establishment. Certain school supplies, (up to $20 per item), clothing and footwear ($100 or less per article), computers and computer-related accessories for noncommercial use (for a single purchase of $1, 500 or less). During the holiday, no sales tax, including school and local option sales taxes, will be collected on clothing or footwear that sells for $100 or less per item. Certain accessories are excluded. All non-business sales on a single item costing $2, 500 or less are covered. Automobiles, boats, telecommunication items, meals, utilities and tobacco are not covered. Clothing and footwear except for certain accessories that are priced at $100 or less, school supplies costing $50 or less, computer software with a taxable value of $350 or less, and personal computers and computer peripherals that retail for $3, 500 or less. The holiday does not apply to sales within the state fairgrounds. Clothing or shoes sold for less than $100 (excluding items primarily for athletic or protective use); computers (but not handheld computers) sold for no more than $1, 000, and any associated monitor, speakers, printer or related items sold for no more than $500; notebooks, paper, writing instruments, crayons, art supplies, paper clips, staples, staplers, scissors and rulers priced under $15; and bookbags, backpacks, handheld calculators, maps and globes priced under $100. Clothing and footwear, as well as items that are used to make or repair clothing, that cost under $110 per item are exempt from state and certain local taxes. 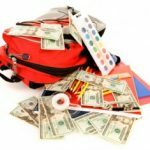 Clothing, footwear and school supplies are exempt from taxes with a price tag of $50 or less, sports equipment that costs under $50, and computers for $3, 500 or less. Clothing accessories, protective equipment and rentals do not qualify. Clothing, accessories, footwear, school supplies, computers, printers, printer supplies, computer software and linens for the bed and bath are exempt. Jewelry, cosmetics and furniture, are not. Most clothing and footwear priced at less than $100 are exempt from state and local sales taxes. Athletic clothing and footwear are ineligible for the exemption. Accessories, such as watches and jewelry, also are excluded from the holiday. Note that Vermont and West Virginia, which offered this sort of break last year, are no longer on the list. Also, Maryland and Tennessee are not currently on the list, but plan a sales tax holiday for 2006. Our household is likely to benefit by this. We use a variation on Mary Hunt’s Freedom Account system, saving up in various categories. Since we’re in Texas, we save all year (except, of course, for thrift store and closeout sales), then buy everything on the tax-free weekend. Last year, we probably saved ~$40 or better. I picked up suit jackets and pants, which were discounted to meet the price range. This year, since we’re buying for a kiddo and an a second on the way, we’ll save even more. Gee, Texas will pay us money to not buy anything until this weekend, huh? Okay, fine by me! This is merely a subtle method of redistributing income upward from those who cannot take advantage of sales tax holidays to those who can. For example, those with spare cash or available credit can stock up on taxable items during a sales tax holiday, and thus obtain these goods free of sales tax. Those without either cash or credit cannot take advantage, and thus must pay the full sales tax on taxable items they buy. How good a deal is it? Well, it may depend on what you buy, or on the particular state. 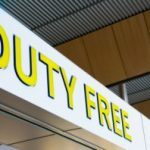 –Tax-free holidays may be good for retailers, but they’re ”neutral at best” for consumers, said David Brunori, contributing editor to State Tax Notes, a trade publication. If not for the tax holiday, merchants would likely have to offer discounts to entice crowds into the stores, but if a tax holiday is stimulating demand, merchants can hold prices steady or even raise them a bit, he said. Google “tax holiday” and “Brunori” for more.